This time of year, people always seem to be talking about ways to be healthier, whether they are trying to eat less or exercise more or make other changes to try to improve their lifestyle. Sometimes, though, it seems like the more we learn about food/nutrition/health etc., the more complicated being healthy becomes. A few years ago, I thought of healthy eating and living as a simple concept, influenced very heavily by all of the mainstream advice about health I had always heard. 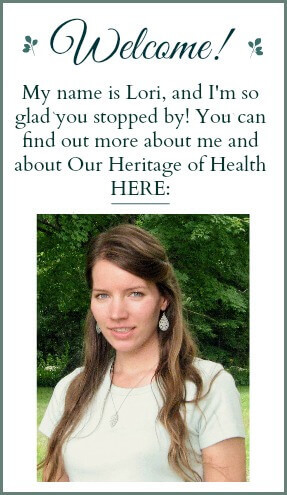 I realize now, though, that the word “healthy” has so many different interpretations to it and that everybody has their own idea of what it means to be healthy. One person’s idea of a healthy diet might mean eating a low-fat diet of mainly fruits and vegetables with little or no meat, while for another person it might mean eating lots of meat and dairy products such as whole milk and butter. Some people are grain-free or try to restrict their intake of carbs as much as possible while others believe that eating enough carbs is essential for good health. And then there are all of the little details to worry about. Maybe you’ve heard for years that whole-grains are “heart-healthy” and that you should eat as many servings of them as possible, but now you’re hearing people talk about phytic acid and the fact that your whole grains need to be soaked, sprouted, or soured before you eat them. Or maybe you’ve been religiously downing green smoothies everyday, but now you’ve just heard about the high oxalate content and you’re afraid to have even one tiny leaf of raw spinach. That’s not to say that it’s not important to be informed and to learn as much about food and nutrition as you can. I think it’s very important, and I’m so thankful that I’ve learned as much as I have in the past couple of years so that I could make positive changes in my diet and lifestyle for better health. A lot of times, though, I think it’s easy to get carried away by all of the varying health advice out there, especially about the little nit-picky things. I think one of the most common health mistakes we all make is that we often forget to intuitively listen to our own bodies because we’re so distracted by the overload of health “dos” and “don’ts” that drown out everything else. 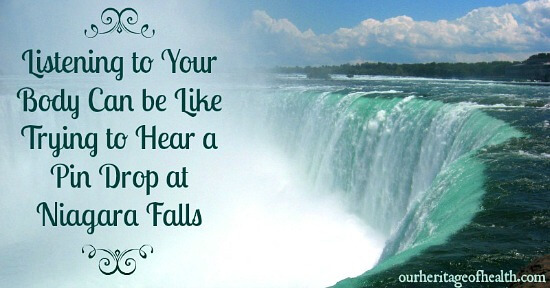 Listening to your own body can sometimes be like trying to hear a pin drop at Niagara Falls. It’s easy to follow the latest health advice you’ve heard without even thinking about whether it is something that would be right for YOU and for YOUR body. Though some health and nutrition principals seem to be pretty universal (I don’t think anyone would really say that GMOs and pesticides and artificial ingredients are healthy), there are many areas of health that might work better for one person than for another. Just because some people think that grains should be avoided at all costs doesn’t necessarily mean that you need to avoid them too. And just because you’ve read about all of the health benefits of raw milk doesn’t necessarily mean that your body will be able to tolerate dairy products well either. As important as it is to learn more about health and nutrition, I think it’s even more important that we learn to listen to our own bodies and to try to figure out what they are telling us. Our bodies usually tell us when something is wrong or not working as well as it should, giving us little warning signals, provided that we actually pay attention enough to listen to them. Listening to my body is something I feel like I’ve almost forgotten how to do. I’ve gotten so used to just eating things and doing things because I know that they’re “supposed” to be healthy for me that I forget to pay attention to what my own body might be telling me. Rather than just eating a certain food blindly because I know it’s supposed to be good for me, I need to try to pay more attention to how my body responds to that food. How do I feel after eating it? Do I feel good, and do I have more energy? Or do I feel worse after eating it than I did before? Even the factor of whether or not you’re in the mood for a certain food can be one of your body’s signals. One day you might want to smother your bread with grass-fed butter, while the next day just a little bit might be enough to satisfy you. Your desire for more or less butter could be your body’s way of telling you that it needs more good fats or fat-soluble vitamins or that it already has as much as it needs for the time being. Or maybe you can’t get enough lettuce and cucumbers and lemonade in the summertime, but in the winter the thought of eating a big salad makes you want to go wrap a blanket around yourself and put on ten pairs of socks. Your lack of desire for a cool salad could be your body’s way of saying that it needs something warming like a hearty stew with a slice of homemade sourdough bread.
. . . is to keep on learning as much about health and nutrition as you can but to remember to listen to what your own body might be trying to tell you. And try not to stress too much about following every single piece of advice you’ve ever heard about what’s healthy! Eat real foods that appeal to you and let your body help you decide what are the healthiest choices for YOU. This post is linked to: Sunday School at Butter Believer, Clever Chicks Blog Hop at the Chicken Chick, Scratch Cookin’ Tuesday at Granny’s Vital Vittles, Family Table Tuesday at the Polivka Family, Frugal Days Sustainable Ways at Frugally Sustainable, Party Wave Wednesday at Holistic Squid, Natural Living Link-Up at Jill’s Home Remedies, Fight Back Friday at Food Renegade. Looking Back at 2012 . . .
Great post Lori! 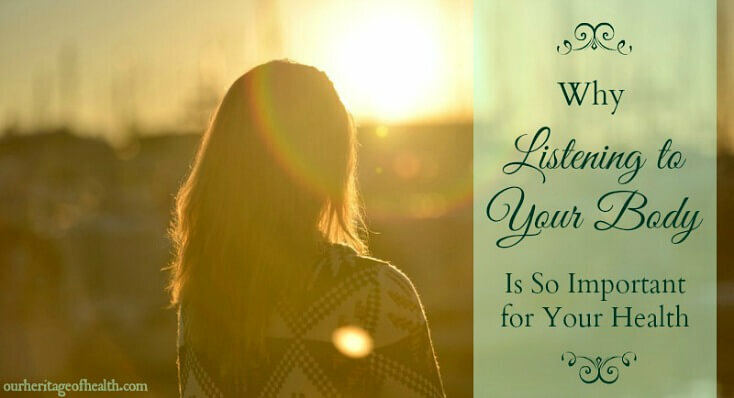 Listening to your own body is one the most basic things we have to learn to do. The media is a niagra falls of health info, much of it contradictory and confusing. 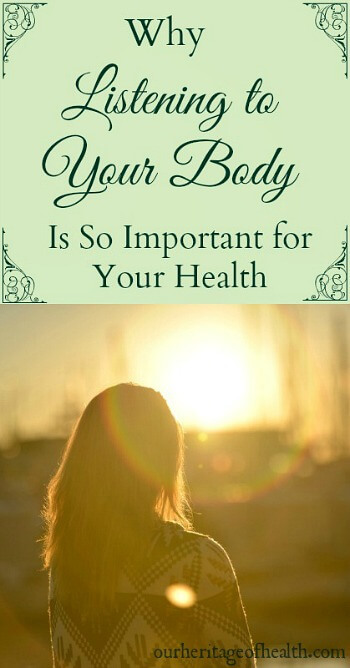 Listening to your own body is job one! Pingback: Heart Health: Get REAL Support for Your Heart!